An earthquake is the sudden and sometimes very violent release of energy from the movement of the earth surface. The surface is comprised of plates called tectonic plates. these plates are constantly moving into each other. As the pressure from them pushing on each other builds up, one of the plates has to give into the pressure. It can move up or down, or to one side or the other. As they are moving and pushing and rubbing against each other, the rest of the earth shakes causing things on the earth to break and crumble. 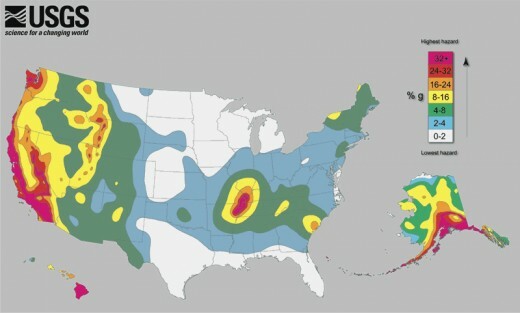 The image to the right shows where the most threat of earthquakes are most likely in the United States, the darker the color, the higher the threat. 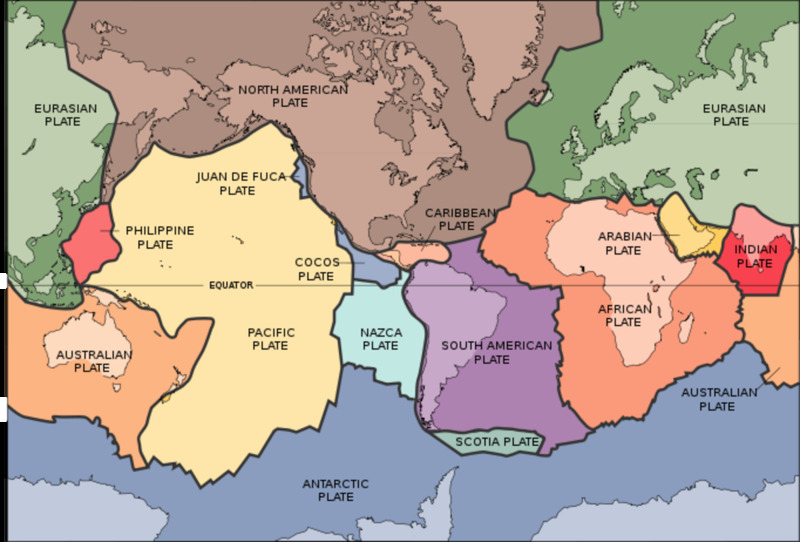 95 % of earthquakes occur along fault lines, these are the lines where the different tectonic plates come together. The other 5% occur in areas that are mid plate areas. A small percentage of earthquakes are caused by volcanic activity. The intensity of earthquakes are measured by a seismometer, and the level is measured on the Richter scale. The Richter scale is a logarithmic scale, not a linear scale. Which means that each number higher is ten times more powerful than the last. For example, a 5.0 earthquake on the Richter scale is 10 times stronger than a 4.0. A 7.0 is 1000 times stronger than a 4.0. This is why a 4.0 shakes a few dishes and may knock things off a shelf, while an 8.0 is 10,000 times stronger and can completely destroy an entire city. Earthquakes overall are far more common than most people know. there are around 4,000 stations around the world that measure earthquakes. The numbers from the U.S.G.S says there are approximately 9,000 small earthquakes per day worldwide, these quakes are weaker than 3.0. Most people never feel a 3.0 earthquake. There are 49,000 per year that are 3.0 to 4.0, still hard to feel. There are around 6,000 that are 4.0 to 4.9, these you can feel but are minor. There are about 800 worldwide from 5.0 to 6.0. About 120 from 6.0 to 7.0. Average of 18 from 7.0 to 8.0. And 1 per year average over 8.0. That comes to a whopping total of over 3 million earthquakes per year worldwide. END TIMES: How to understand Bible prophecy: Are there Biblical signs that show us when Jesus will return? The strongest recorded earthquake on record took place in Chile in 1960, it measured 9.5 on the Richter scale. The damage from the quake itself killed 6,000 people in Chile, and the resulting Tsunami killed many more when it hit Hawaii and Japan. 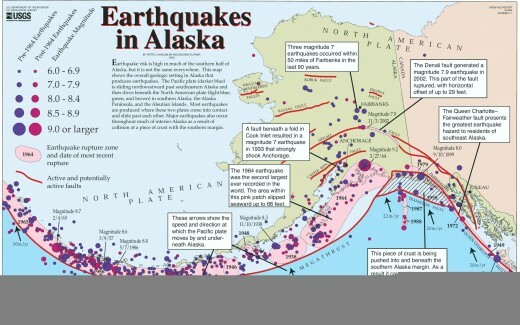 The strongest in the U.S., was off the coast of Alaska on March 27 1964. It measured 9.2 on the Richter scale. The shaking lasted an unbelievable 7 minutes. The surface of the ground in some places moved as much as 56 feet. The fault rupture was around 500 miles long. Because of the small population in the area, there were 115 deaths from this quake, all from a Tsunami caused by the quake. The amount of energy released was said to be equivalent to 12,000 mid sized atomic bombs. The largest in the continental U.S. was a mid plate series of 4 quakes over a 45 day period in 1811 and 1812. All 4 of the quakes were over 7.5 magnitude. They were felt all the way to Boston. They raised and lowered the ground several feet in the area of New Madrid Missouri, several lakes were created, and they even created a waterfall on the Mississippi river. The death toll was less than 100 because there were very few people living in that area at the time. 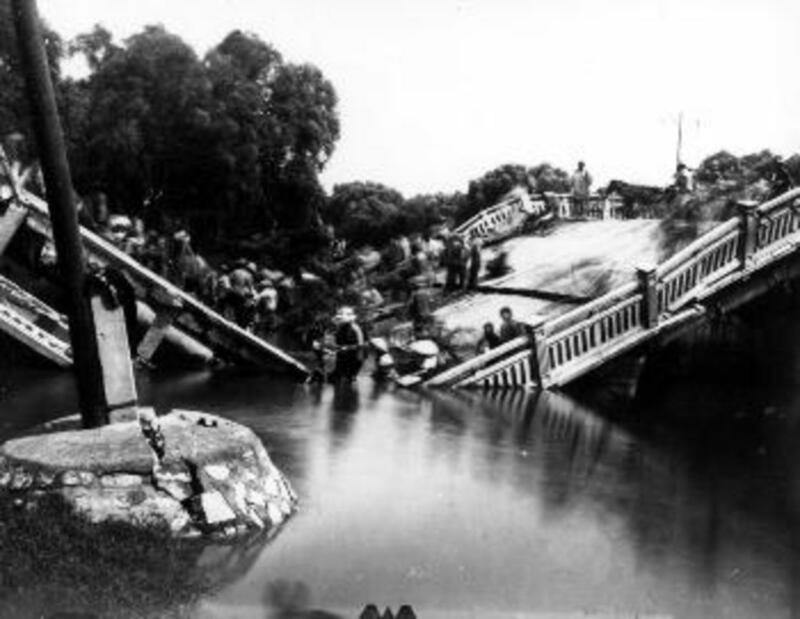 The deadliest earthquakes ever recorded were both in China. In 1556 around 830,000 people were killed in the worst on record. The second deadliest was in 1977 near Tangshan China, where over 250,000 were killed, this quake was a 7.6 magnitude. The only safe place in an earthquake is away from anything that can fall on you. The middle of an open field is the safest place to be. The shaking of the ground may knock you down and scare you but you will not likely be hurt. 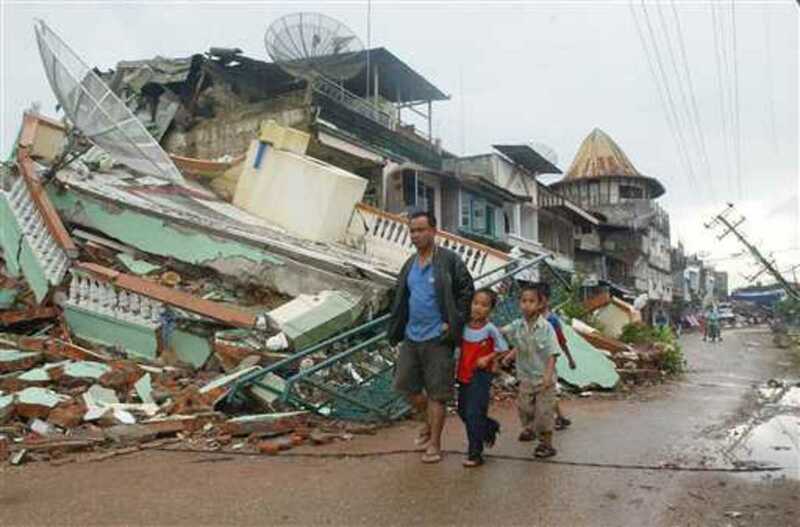 Almost all people killed by earthquakes are killed by buildings or other heavy objects falling on them, or by the Tsunami that the earthquakes sometimes cause. 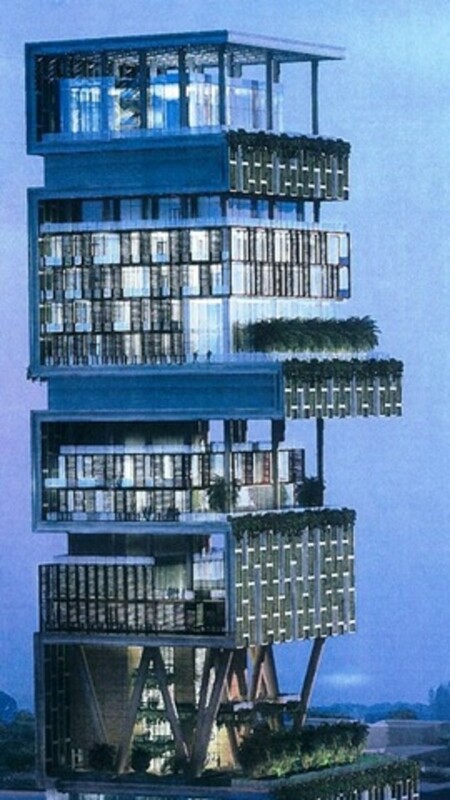 So if your ever in a major earthquake, get to high ground away from anything that can fall on you. How is Precipitation and Rainfall Measured and How do Rain Gauges Work? What is a earthquake how bad can they be?